Our Sporting Goods store is completely stocked with everything the sportsman needs, year round! Shop for fishing accessories, winter sports equipment, camping supplies and recreational vehicle parts. Get a fishing license. 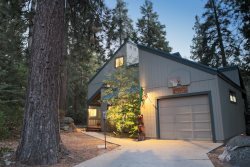 Our full service marina is at Camp Edison on Shaver Lake. We're here to serve you! Whether vacationing with the family, fishing with your buddies, getting away by yourself for a spell, or using our Hiker's Shuttle Service to get your Resupply Package while on the PCT/JMT, the staff will make your visit a most memorable one. A halo of romance always surrounded the fishing club and its members, though I cannot explain just why its members loved it so or just how it acquired such a hold on the community. Its headquarters were at Shaver Lake, in the Sierra Nevada, about sixty miles east of Fresno. Its early buildings were of the crudest kind and its accommodations for the comfort of members and guests were even more primitive- Perhaps that very fact was responsible for much of the affection it received. I have often wondered whether the glamour of the early days was not buried in the ashes of those old buildings, for time and weather conspired to destroy the original clubhouses. Welcome to Sierra Marina and Shaver Lake, California. We are located about 55 miles east of Fresno, on State Highway 168 at the north end of the lake. 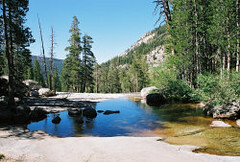 The lake is located in the Sierra National Forest, at an elevation of 5,370 feet.The lake has a large variety of marine life and some of the best water skiing in California.